Posted on February 15, 2017 at 12:00 am. YMCA residents have art displayed at the internationally acclaimed Nottingham Contemporary, in a special celebratory exhibition. 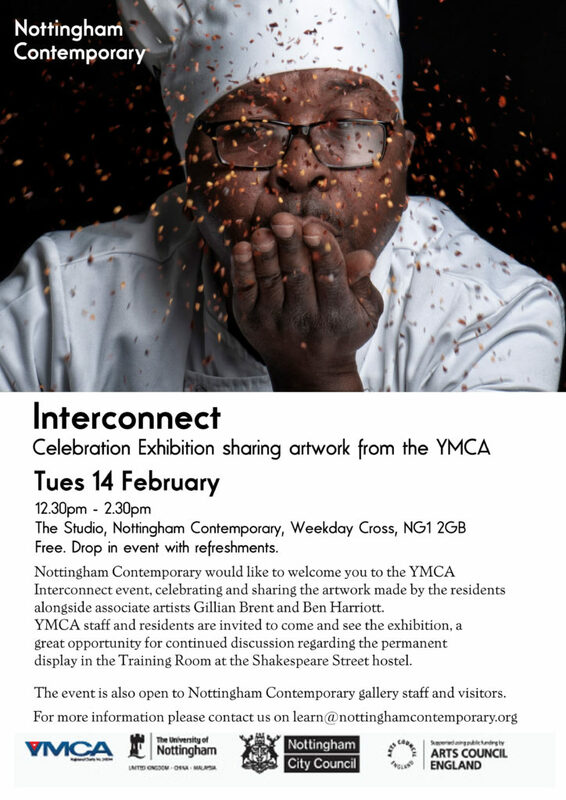 Nottinghamshire YMCA and Nottingham Contemporary have joined forces to host an exhibition of residents artwork, photography and poetry. Over a period of eight weeks, YMCA residents worked with artists Gillian Brent and Ben Harriott to create inspirational art as part of a project, funded by Arts Council. The Nottingham Contemporary event was the first showcase of the resident’s work, before it is moved to a permanent display within a new training kitchen and creative space at the YMCA’s city centre hostel. The project seeks to promote the arts as a vehicle for change and inspire local voluntary organisations – especially those working with the homeless – to engage with arts projects.